If It's Too Loud...: Help Kickstart a Film Starring Daniel Johnston! 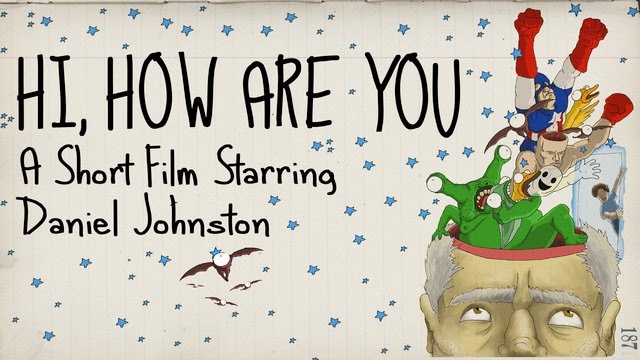 Help Kickstart a Film Starring Daniel Johnston! 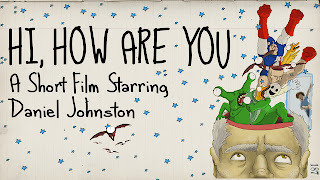 There's already been an excellent documentary about Daniel Johnston (2005's The Devil and Daniel Johnston), and now we're getting a short film starring Daniel Jonhston. Directed by Gabriel Sunday, Hi, How Are You will be "... a musical tale of an aging artist encountering psychedelic dreams, nightmares, and characters from his past." What's getting the most attention on the interwebs have been the celebrity backers. Frat rapper Mac Miller coughed up $10,000 for an executive producer credit. Lana Del Rey (she of insane internet overhype followed by insane internet hate over a mediocre at worst SNL appearance) also donated huge. Johnston has always had huge supporters in the world of music, and it's actually great to see a younger generation embrace him so strongly. For more information on the film, head on over to the Kickstarter page.